With Compassion & Soul Inc. - What is Palm Oil? The ubiquity of palm oil, which appears in everything from margarine to lipstick, is now widely recognised. So to, are the detrimental effects of untraceable, uncertified, unsustainable palm oil plantations on the world’s remaining rainforests. So why do we keep using it? The simple answer is it’s just too good at what it does. Its versatility comes down to two main stellar properties: an exceptionally high melting point and very high saturation levels. Some vegetable oils get close to one of the two, but currently none do both. Oil palm is the most efficient oil seed crop in the world. One hectare of oil palm plantation is able to produce up to ten times more oil than other leading oil seed crops. Producers may achieve yields as high as eight tonnes of oil per hectare. 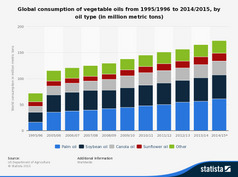 Among the 10 major oil seeds, oil palm accounted for 5.5% of global land use for cultivation, but produced 32.0% of global oils and fats output in 2012. 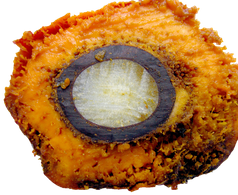 Palm oil is an edible oil derived from the pulp of fruits of the oil palm (Elaeis guineensis). Oil palms are originally from West Africa, but were brought to South-East Asia at the beginning of the 20th century. The primary demand for the industry's expansion came from the British Industrial Revolution. At the time, 250,000 tonnes of palm oil were being exported annually from South-East Asia. This figure has risen to over 60,000,000 tonnes today. Malaysia was the world's largest producer of palm oil by the mid 20th century and this stayed true until the Indonesian government began investing into the industry in the 1970s. This expansion officially pushed the country into the lead spot for top producer in 2007 and the nation now supplies the majority of the world's growing demand for this cheap edible oil. The initial demand for palm oil was for use in candles and as lubricant for machinery. The invention of the hydrogenation process in Europe pushed the demand even further, and after WWII the oil became easier to transport and to use in numerous Western food products. Export trade of palm oil expanded rapidly and from 1962-1982 world exports of palm oil rose from 500 000 to 2 400 000 million tonnes, making Malaysia the largest producer of palm oil in the world. At this time Malaysia accounted for over half of the world production and exports by the mid-twentieth century, and 85% of the world exports of palm oil by 1982. This peaked interest in the industry’s investment by the neighbouring government of Indonesia. Indonesia, the world’s largest archipelago with over 17 000 islands, once used to be covered in tropical forests until the largest of these islands were taken over by corporations and palm oil companies with the Indonesian government’s permission. This initially started when President Suharto came to power in 1967 and made it his priority to render Indonesia a politically stable nation with sustained economic growth. While this consisted of expanding multiple industries, such as manufacture and mining, in 1968 Suharto began investing in the Indonesian oil palm sector from which its slow growth began into the 1970s. Rapid expansion occurred throughout the 80s brought on by the global demand for the oil which Suharto believed would greatly benefit Indonesia if its production and expansion were increasingly invested in. This was because, while Malaysia was leading the way in the oil palm sector, Indonesia’s greater land area and lower labour costs would soon make the country the leader in production. 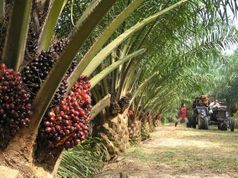 The government soon converted several million hectares of the country’s rainforest into oil palm plantations to become the biggest global producer of the oil. Though not while Suharto’s time in office, Indonesia surpassed Malaysia in production and export of palm oil in 2007 and the industry now takes up over eight million hectares of land in Indonesia, expected to reach 13 million by 2020.